If you're a new reader to my blog, howdy. If you're a frequent visitor, then you know that I love wearing coloured contact lenses. I love having the ability to change my eye colour everyday, to whatever colour suits my mood. I love the freedom of expression that they provide to me. I'm not saying that there's anything wrong with having my dark, boring very very dark almost black eyes, I just prefer my eyes to stand out, and look brighter. Everyone has their preference, and mine is definitely grey eyes. I got the opportunity to try out some O-Lens in the colour Jenith 3 Sky Gray from Pinkicon. Before I get started on my review, let me explain a little more about pinkicon.com. 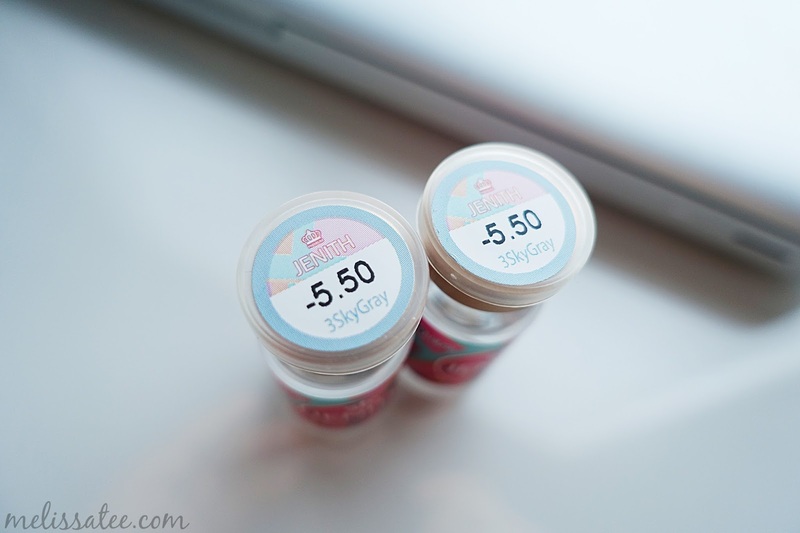 Pinkicon is one of the largest circle lenses distributor in Hong Kong. They offer over 300 types of circle lenses originating from Japan and Korea (so you know they're amazing). Not only do they have a large variety, they also offer free worldwide shipping on all their circle lenses! Every month under the sale tab, they also have special promotions going on for selected circle lenses, so you can save on your favourite brands. 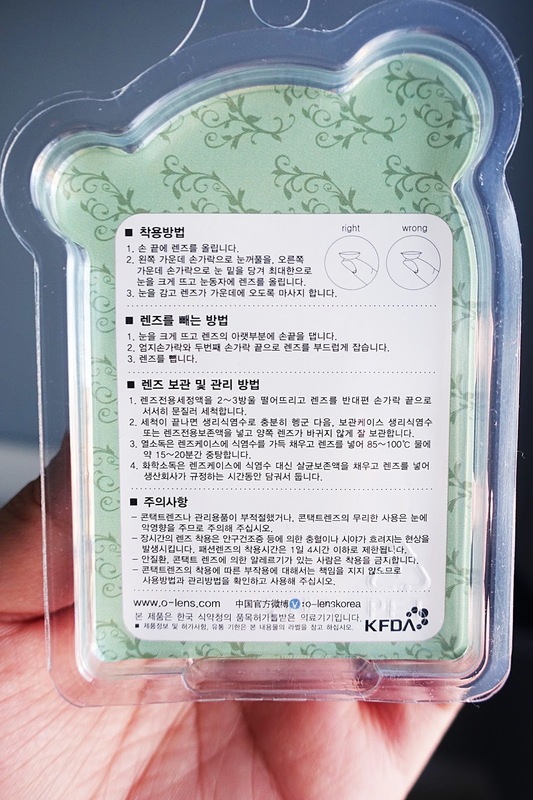 Here is what the back of the contact lenses packaging looked like. Of course I know how to wear contacts, assuming these are instructions.. so lucky for me I hope none of this was important! Yes, I have terrible vision. 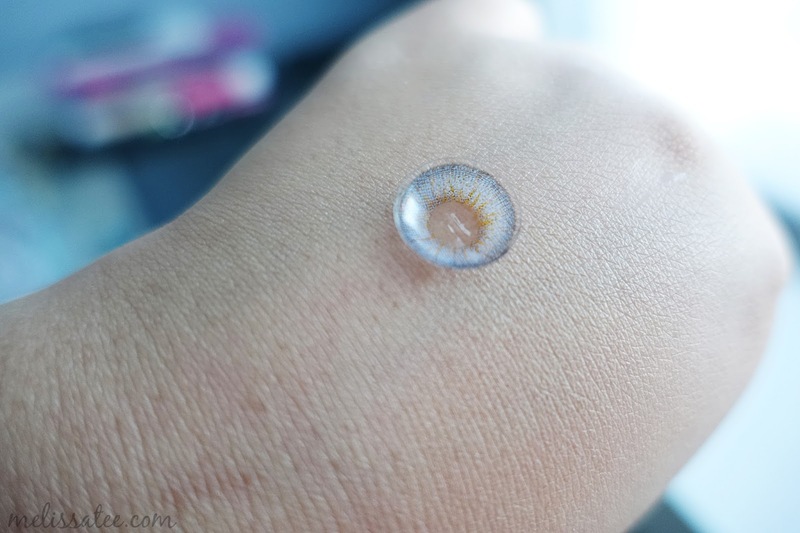 The contacts come in a pair of glass jars, as do most asian circle lenses. The sky gray has a hint of yellow to it, and the gray has a subtle hint of blue. The one thing I disliked about these contacts is the very noticeable pixels in the lenses. It's not a huge deal, but it could of been better. Here it is beside my all time favourite coloured contacts, Desio Smokey Gray. 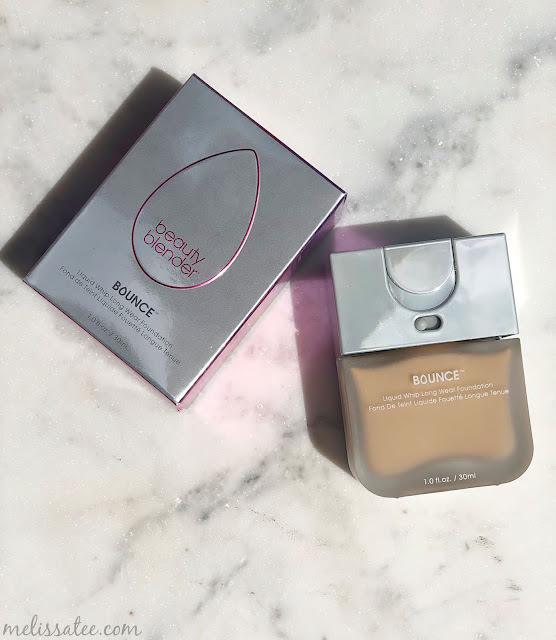 You can't tell in this picture because the Desio lens is a bit blurry, but the pixels in the Desio one aren't that noticeable. You can definitely see the difference here. The desio ones look more realistic, whereas these ones you can tell they aren't someone's real eyes. Now, don't go saying "wow people would really think those are your real eyes?" Yes! I've gotten many compliments on how gorgeous my eyes were while wearing Desio Smokey Gray, and people are shocked to hear that they aren't my real eyes. Some pros about these lenses though. They are extremely comfortable. 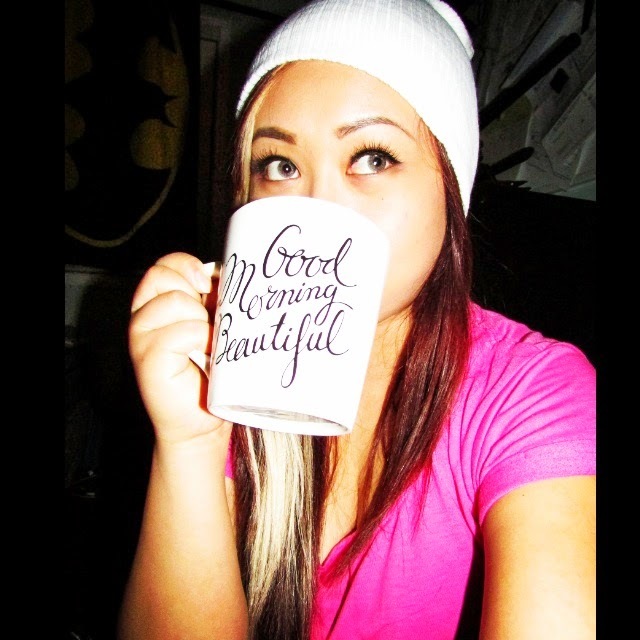 With Desio lenses, it takes a few tries for me to get them to feel comfortable in my eyes. 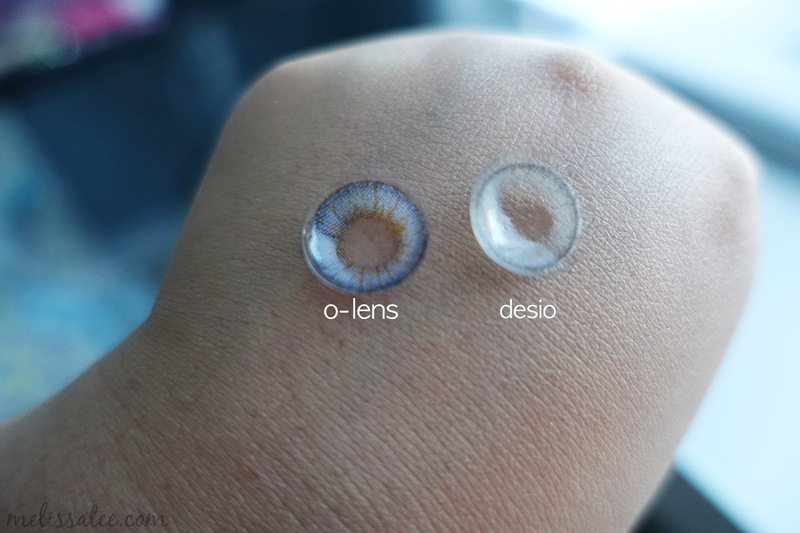 Desio lenses do get drier faster (for me at least). These lenses are super comfortable, and I don't feel like I need eye drops after wearing them all day. The fact that they are comfortable could be because they also feel very lightweight. From far away, you wouldn't notice that these weren't my real eyes. They are very wearable as day to day lenses as they do last 6 months. They also make your eyes appear a lot bigger as well. Overall, I'm very pleased with these lenses, and will be wearing them quite often because they're so comfortable! Check out Pinkicon for all your circle lens needs. This product was sent to me for reviewing purposes.